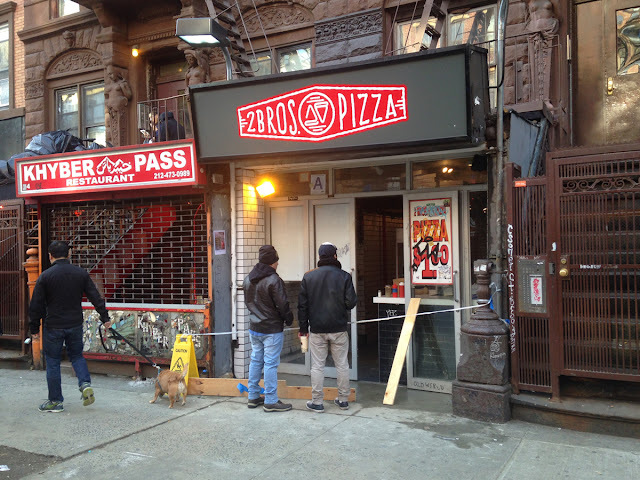 The beloved 2 Bros. Pizza, on St. Mark's Place, recently repaired the sidewalk outside their entrance. They were still open, but how were people going to enter? 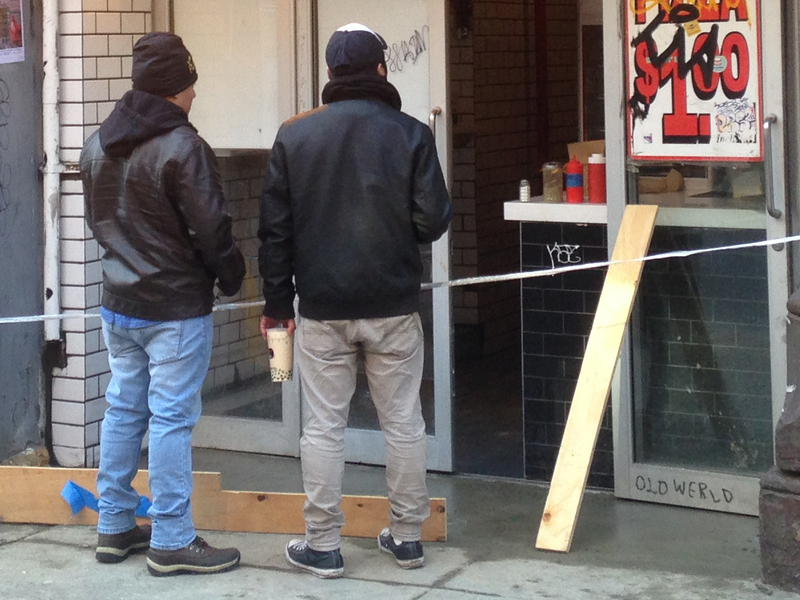 All they could do was stare inside.